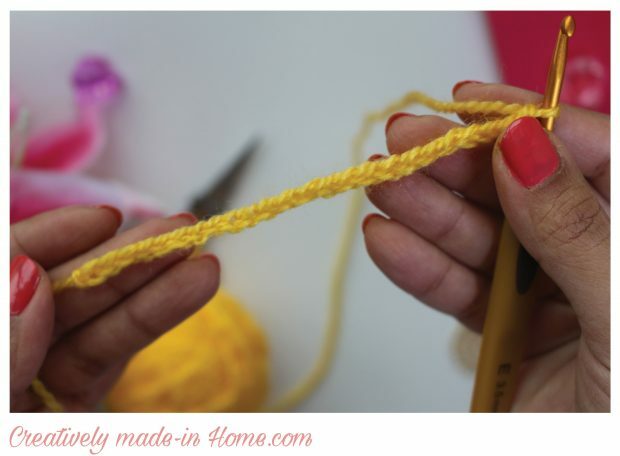 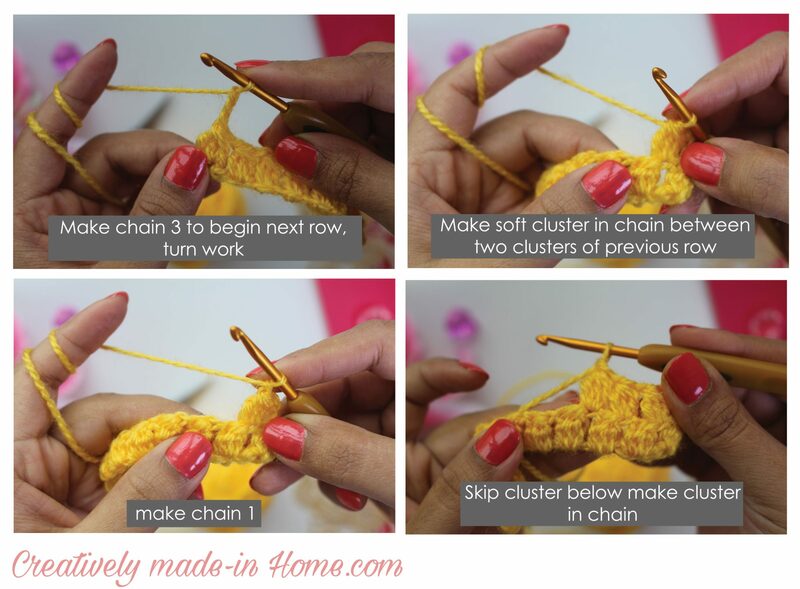 How to crochet Soft Cluster, with step-by-step photos, Instruction card (which includes written instructions & chart diagram) and video tutorial. Cluster is a group of three or more stitches worked into one stitch or chain space. 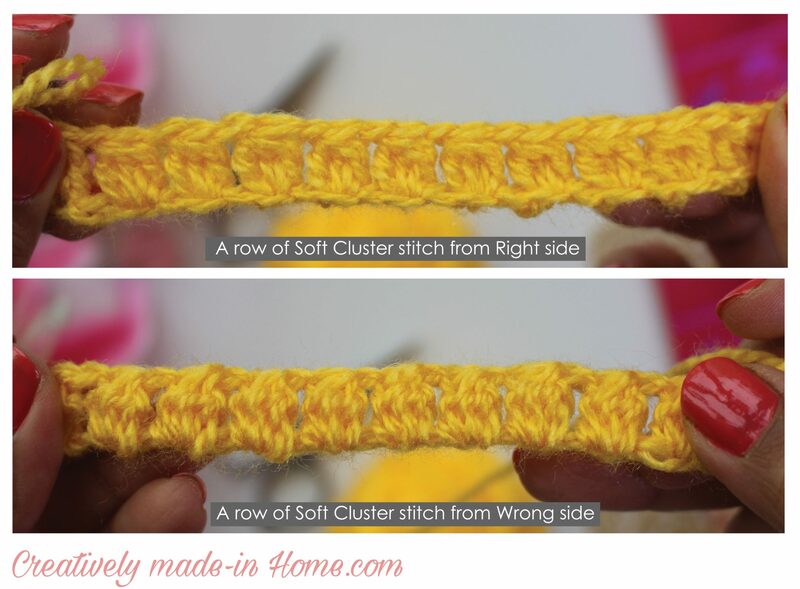 Soft Cluster could be considered as the first stitch or basic stitch of other types of cluster stitches. 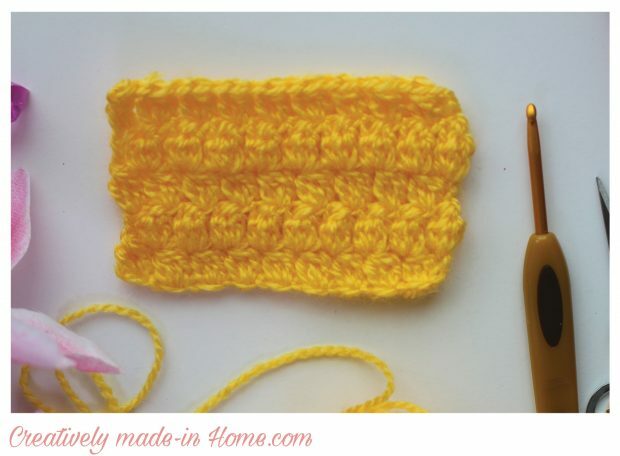 This stitch is relatively flat and looks same on both sides of fabric. Soft cluster is very easy stitch but gives very attractive look to the fabric. This stitch is very good for big flat projects like stoles, shawls or even bags. 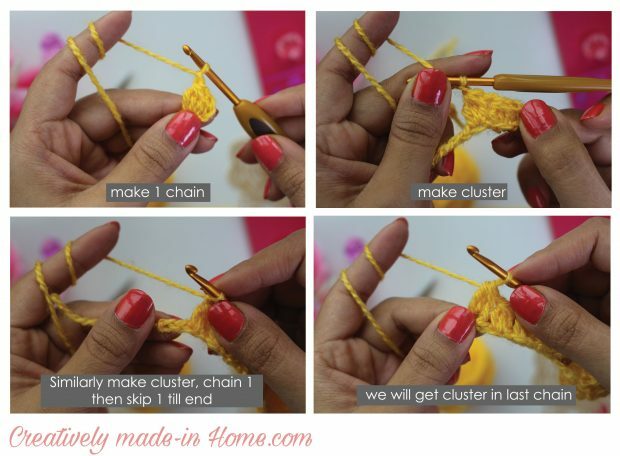 Make chain multiple of 2 plus 4. 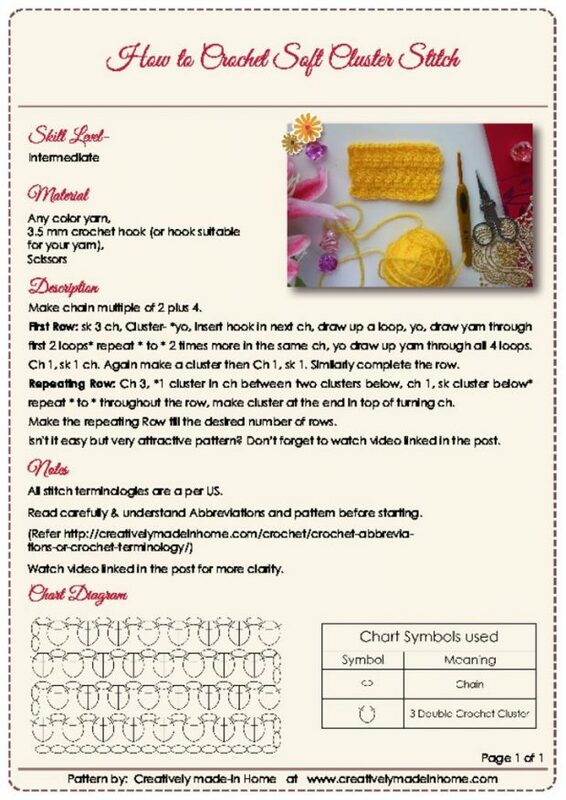 For tutorial I have made 24 chains. 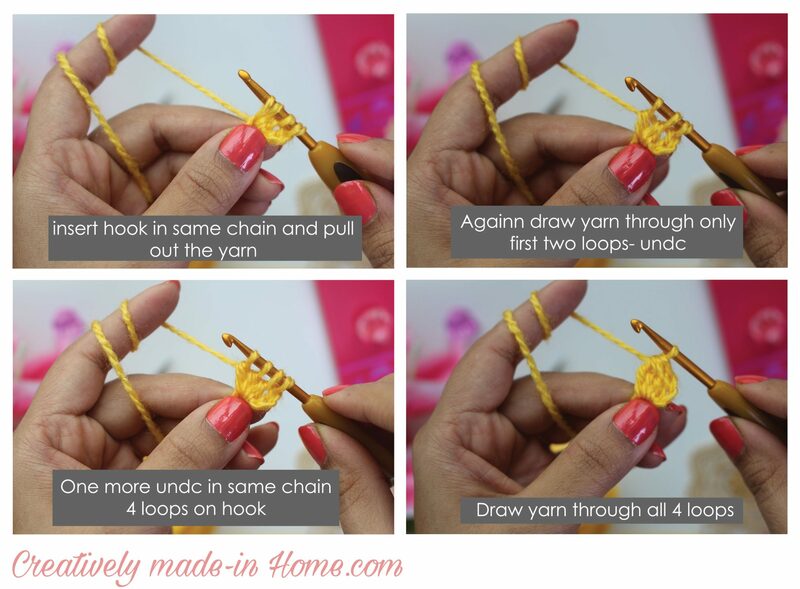 repeat * to * 2 times more in the same ch, yo draw up yarn through all 4 loops. 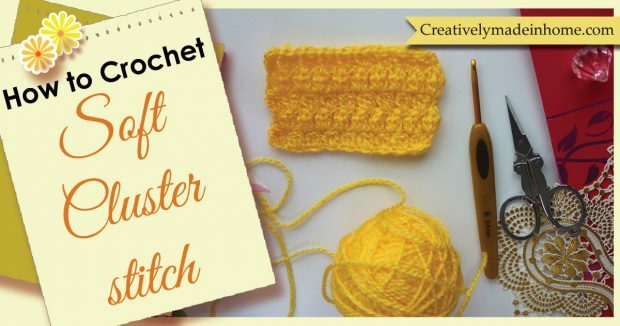 Ch 1, sk 1 ch. Again make a cluster then Ch 1, sk 1.
make cluster at the end in top of turning ch. 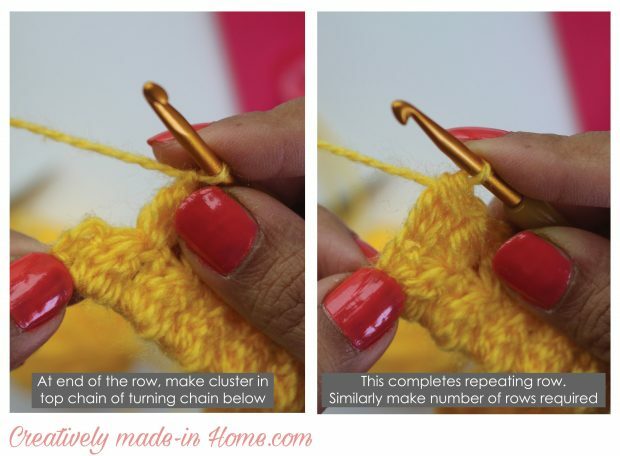 Make the repeating Row till the desired number of rows. 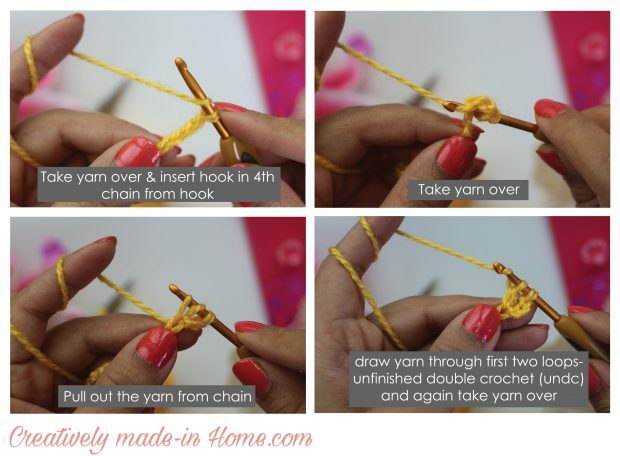 Isn’t it easy but very attractive pattern?